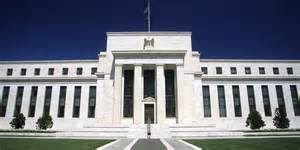 We delve into some of the recent criticisms of the Federal Reserve in this video. In response to whether the Fed is leading the market, or vice versa Lockhart states that it is a "Dance" regarding market expectations. Not exactly, at this point it is obvious that financial markets lead the Federal Reserve around like a Farm Animal, causing it to lose as much credibility as OPEC, another dysfunctional organization. I have no confidence in the Fed at this point to even remotely be in position to evaluate where we are as an economy from a health perspective. But if you cannot raise rates 25 basis points with financial markets at all-time highs in a historically low volatility environment, then there is no way the Fed is raising rates twice the back half of this year considering the volatility coming in August (The weakest Months for financial markets historically) and an unsettling election in November. Besides being highly inconsistent in setting Monetary Policy guidelines for the market, the Federal Reserve is seemingly clueless in their decision making process regarding setting a consistent Monetary Policy through normal fluctuations in economic and geopolitical events. Given the fact that it appears at best that it will be at least 7 months between rates hikes, it is illogical to believe that the Fed will raise rates twice in 5 months. If so, what do they think is going to happen to financial markets in regards to future volatility and price, given how unprepared financial markets are currently pricing in two rate hikes for 2016? As a result, one could add one more criticism of this Fed, they are not very smart.